well, it has been a minute, several thousands of them actually. figured it was time to dust off the ol’ tera melos machine and get back to it. 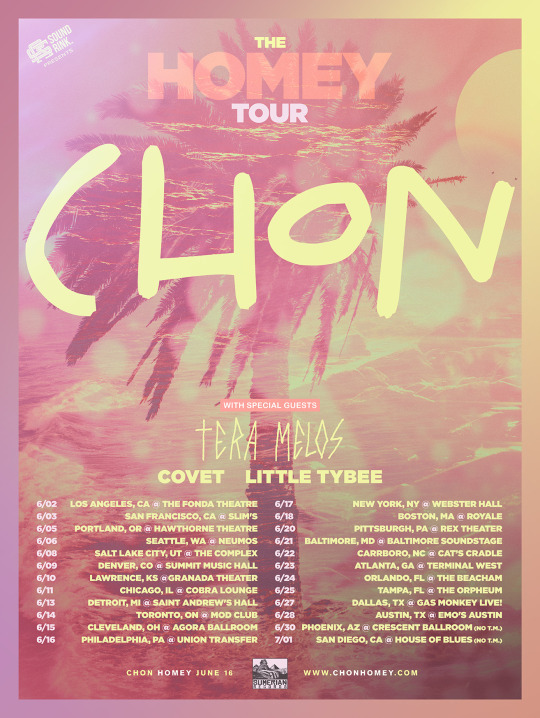 Chon has invited us on to sound blast on their album release tour this summer. all show info can be found here. 6/27 - dallas, tx @ gas monkey live!